WASHINGTON (CNS) — The word from some quarters is that the Aug. 21 total solar eclipse is a harbinger of the end times, but one Wisconsin priest hardly thinks so. Father James Kurzynski, an amateur astronomer, said the cross-country eclipse is an opportunity to reflect on humanity’s relationship to creation and build stronger bonds with God while enjoying a rare astronomical event. The total solar eclipse is the first to be seen from coast to coast since 1918. The 70-mile-wide eclipse path spans the continental U.S. from Oregon to South Carolina. Totality begins at mid-morning Pacific time on the West Coast and the moon’s shadow races across 14 states in about 90 minutes, ending at mid-afternoon Eastern time. The celestial event is giving Father Kurzynski, pastor of St. Joseph Parish in Menominee, Wisconsin, the opportunity to connect biblical passages that metaphorically describe the darkening of the midday sun, the moon and the stars with a call to welcome God’s mercy into their lives. Father Kurzynski has found references to eclipses in throughout the Bible. 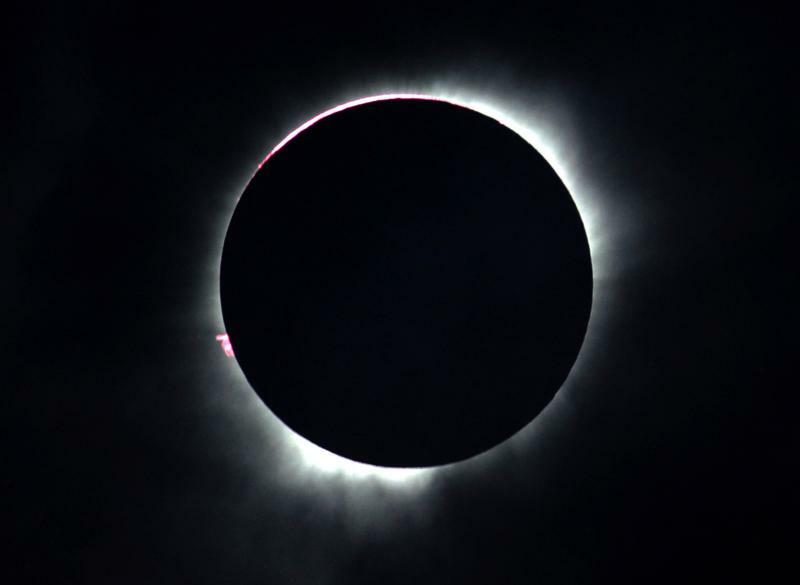 From the books of Sirach and Isaiah in the Old Testament to the Book of Revelation at the end of the Bible, such references suggest that ancient people understood that eclipses occurred regularly and used symbolic language to call people to end their sinful ways, Father Kurzynski said. From that perspective, the priest has used the weeks leading to the spectacle as an opportunity to educate parishioners about the beauty of an eclipse with a bit of biblical catechesis thrown in. Father Kurzynski also has used the opportunity to refute some religious claims that the eclipse marks a dark time, perhaps even the end times. He also pointed to the fact that astronomers have calculated eclipses over the centuries and know exactly where and when eclipses will occur and how long they will last at any given point along their path for the next 1,000 years and beyond; it’s all a matter of physics and understanding the periodicity of the orbits of the earth around the sun and the moon around the earth. “I’m really trying to focus with my parish in the weeks to come on the celebratory aspect of it. In this world of wonders, here is this special wonder that can be given to us,” he said. The Bible is helping him in that task. He said he hopes to help people understand that the prophetic words found, for example, in Isaiah 24:3-13 and 24:19-23 identify the “dis-order” between God’s people and creation. “It’s a sign of … how a creation that isn’t treated from a standpoint of stewardship reflects negatively on the world,” he said. Father Kurzynski also believes that the eclipse and such biblical passages invite the faithful to open their hearts and minds to the lives of people around the world who are suffering because of environmental degradation and climate change. “We don’t allow the impact of the environment to be felt,” he said. “We can create an environment in our home. We kick on the air conditioner when we are hot. We turn up the heat when it gets brutally cold. We can adapt to the culture through artificial means.